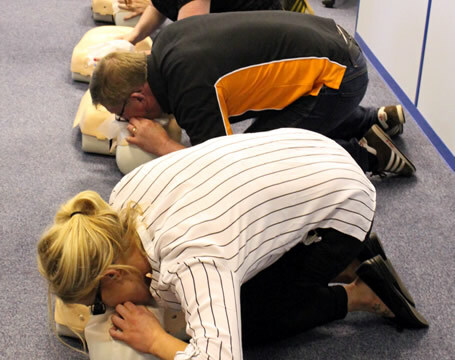 To equip the First Aider with a wide range of skills and knowledge so that he/she can competently look after an injured or ill person until the arrival of a more qualified person including the use of an Automatic External Defibrillator. Qualsafe Level 3 Award in First Aid at WorkObjectivesTo equip the First Aider with a wide range of skills and knowledge so that he/she can competently look after an injured or ill person until the arrival of a more qualified person including the use of an Automatic External Defibrillator (AED). Upon successful completion of this course, a Qualsafe approved First Aid at Work certificate will be awarded (valid for 3 years).